There’s been little mention of AirPower, at least officially, since Apple announced it in September 2017. In fact, when Apple all but removed all mentions of the device from its website recently, we believed it had been scrapped altogether. But every so often, there’s new evidence that suggests AirPower, which was scheduled to launch sometime last year, is still in development — and could go on sale any day now. The latest was spotted on Apple’s website for Malaysia. It seems unlikely Apple would mention this if AirPower was no longer a part of its plans. However, the same reference does not appear in product listings in the U.S. or other markets. It’s likely someone forgot to remove that mention before the Smart Battery Case was listed in the Malaysian online store, then. But is this just an error, or does it suggest AirPower will arrive soon? A recent report claimed that two Apple suppliers — Pegatron and Luxshare Precision — have or will start mass-producing AirPower soon. An apparent supply chain source said its launch wasn’t far away. 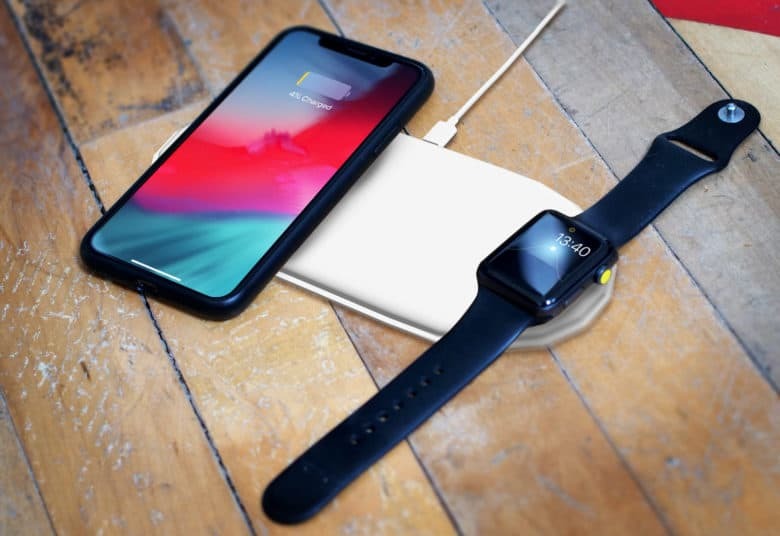 What’s more, reliable analyst Ming-Chi Kuo has previously stated that AirPower will be released early in the first quarter of 2019. It is believed Apple has already overcome the production challenges it originally faced, which led to the product’s lengthy delay. Whatever the case may be, it seems AirPower will remain a mystery until Apple starts selling it, or confirms it’s dead.